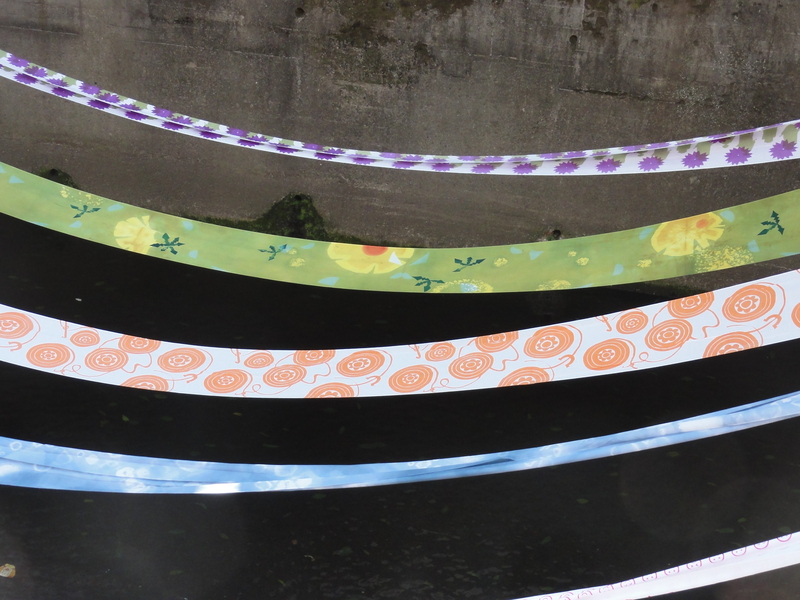 In the days of ancient Tokyo, all the way through the 1950’s, kimono dying factories lined the banks of the Myoshoji River in the areas of Nakai and Ochiai. 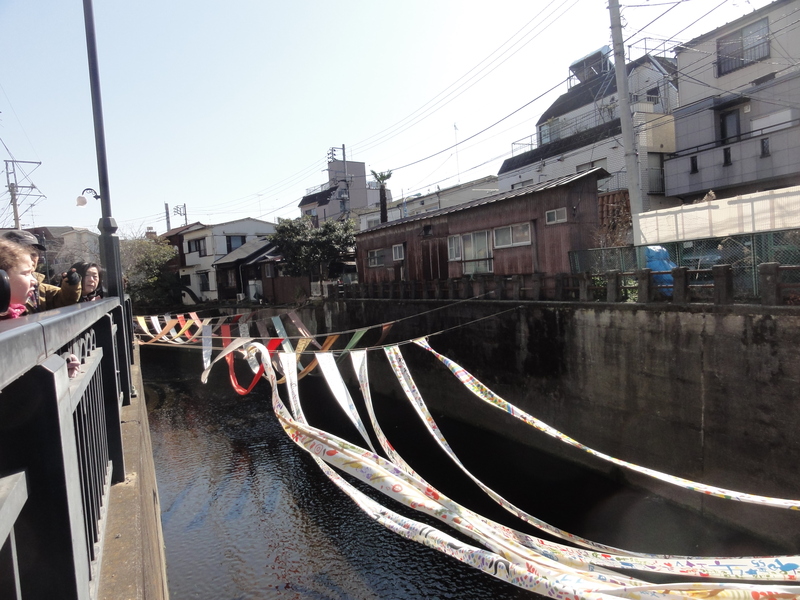 Yearly since 2009 the residents of these parts of the city have commemorated the rich history by creating a gallery of Kimono cloth and noren, stringing beautifully painted cloth along the river and throughout the streets. 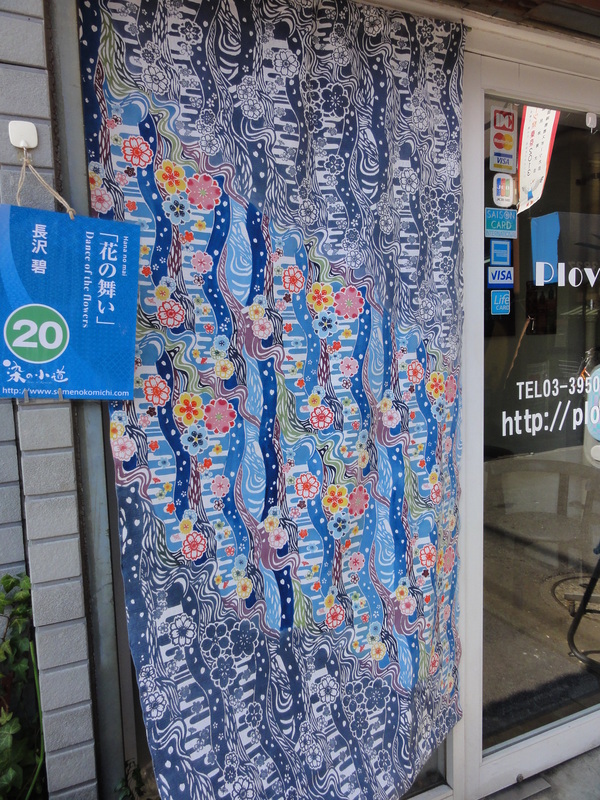 Noren are the cloths that hang outside of businesses in Japan in front of the entry doors. Shopkeepers and restaurant owners put them out at the start of the business day and pull them in when the day is done. Calling the festival Some-no-Komichi, in addition to just showing beautifully dyed and painted cloth, the city opens the gym of the local elementary school to let people dye or paint their own cloths. 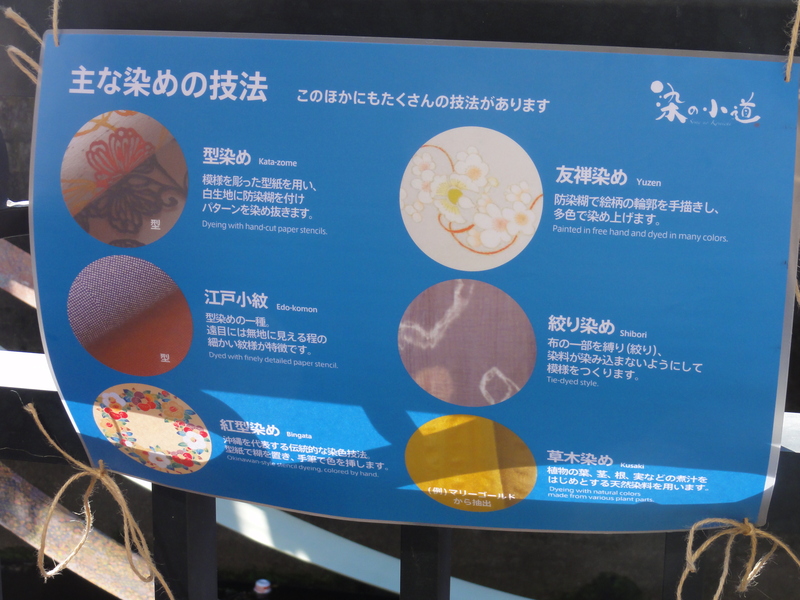 The gym is also a gallery of stunningly painted kimono and obi with descriptions of the artists and their techniques. 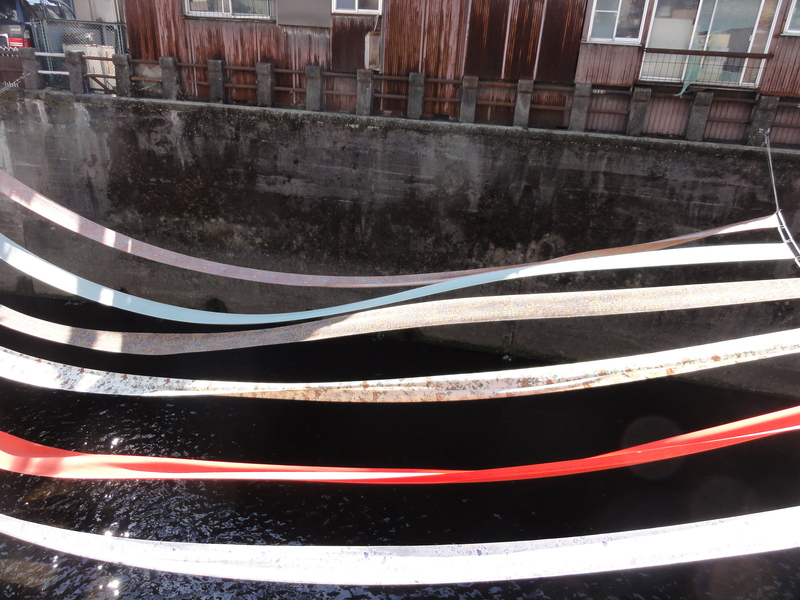 With the bright sunshine and lovely breeze leafing through the cloth, we could feel the echos of ancient times as we wandered the streets of Nakai. Enjoy the photos from the day. 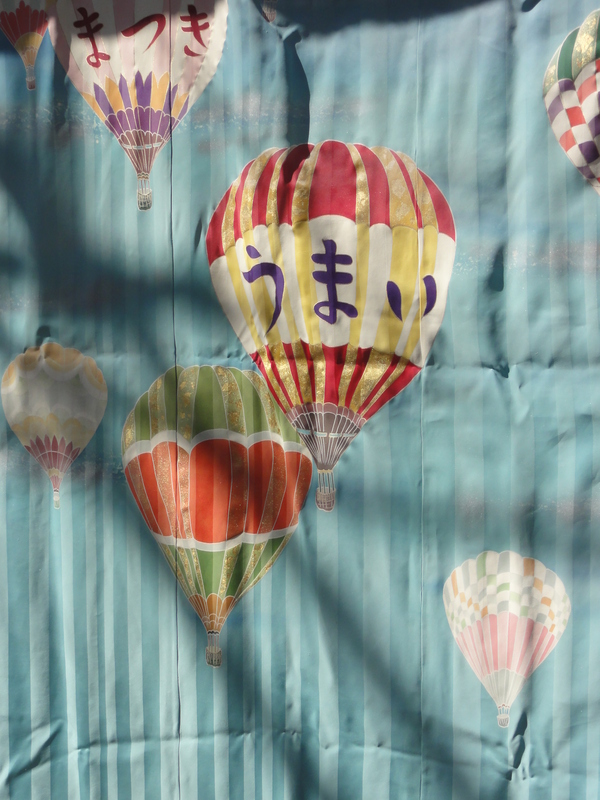 One of the 90 or so noren we saw in shop windows in the city. 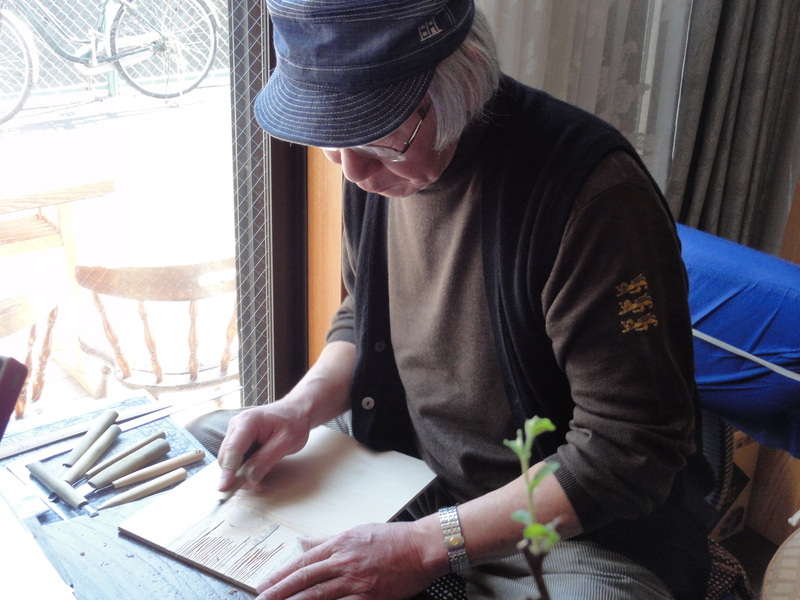 This man is a local artist; he is carving a block of wood to make woodblock prints.